Rendezvous at Inn Along the Way (741 Main St, Damariscotta, ME 04543). Dress for the weather. Stay hydrated. Led by Lisa. Beauty Walks meet at various half-wild locations. We will stroll and be still, converse and reflect, and then return to the trailhead with renewed energy to continue making the world more beautiful! Our Beauty Walks are for people trying to make the world a decent place to live, and who sometimes get burnt out by their efforts. These are an opportunity to come together with others and listen for the refreshing whispers of wisdom from wild nature. 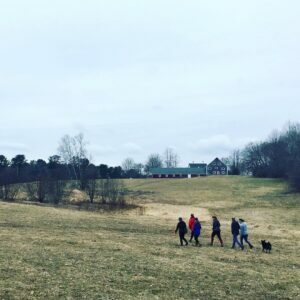 The practice of Beauty Walks is inspired by Animal, Vegetable, & Mineral: The Sacred Connection, an article by Carol Lee Sanchez, and was introduced to Renewal in the Wilderness by our friend, Sharon Welch, who has used this practice with her students. 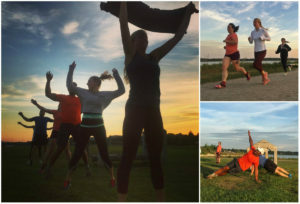 Come on out and join the Runaways Run Club for a free, all levels 3.5 mile group run around the Back Cove Trail in Portland every Tuesday. 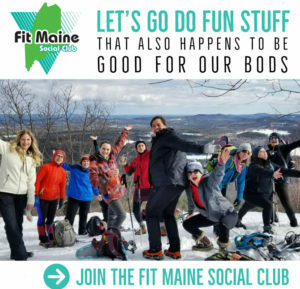 This is an informal and fun group run, go at whatever pace you’d like, for first placers to first timers! We’re meeting at Payson Park at the parking lot nearest to the trail / Baxter Blvd and we’ll be taking off on the run no later than 6:05am, just FYI. See you there! Yoga and Cancer classes are different from regular yoga classes you would typically find at your local studio. They are even different from classes that are called “gentle” or “restorative.” Yoga and Cancer was specifically designed to provide therapeutic benefits to cancer patients and survivors in a relaxed and supportive environment. Specific movements and postures along with mindful breathing and meditation techniques help manage stress and support the immune system. Yoga and Cancer will help you build strength, improve flexibility and range of motion and support the health of the cardiac and lymphatic systems. WHO? Good People. [age, athletic ability, social status, ethnicity – not applicable] In other words, this is for EVERYONE. WHAT? FREE outdoor sweat session. Workouts are scalable and FUN. The sweat session will challenge you, the atmosphere will change you. WHY? Because sometimes we need a reminder to wake up and get moving. It’s your accountability, motivation and reason to get in shape. All you have to do is lace up your shoes and show up. 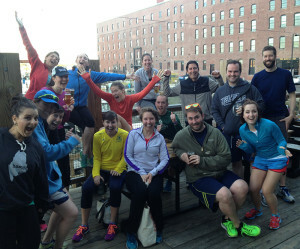 Free Group Run every Thursday at 6:15 p.m. with after-run libations at Liquid Riot. Join us at Patagonia Freeport for weekly Saturday morning yoga with instructor Amanda Macleod. All levels welcome.